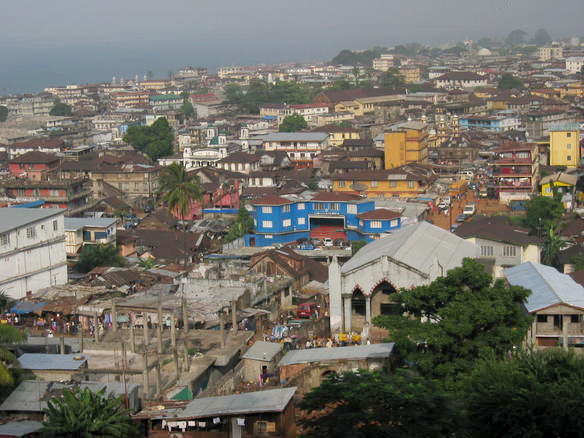 Freetown, Sierra Leone. In 2000, British forces successfully intervened in their former colony to end a bloody civil war. (c) 2011 Wikimedia Commons. Long before decolonisation wound down in the late 1980s (the Soviet Union and Yugoslavia excepted), scholars had established ‘postcolonialism’ as an important academic field. Postcolonialism was guided by important questions in a rapidly changing global environment: should postcolonial states align themselves with their former colonisers, e.g., through formal networks as the Commonwealth of Nations and informal, commercial and social relationships. Postcolonialism’s supporters argued that it was vital to monitor newly-independent states and to identify deficiencies and abuses wrought by the colonial power. Detractors, on the other hand, stressed the limitations in colonial responsibility and multi-way cultural exchange, often citing such relatively successful post-independence relationships as the United Kingdom and India. Over fifty years since the first great decolonisation wave, the issue of responsibility and postcolonial relationships remains controversial. In Transactions of the Institute of British Geographers, Pat Noxolo (University of Sheffield), Parvati Raghuram (The Open University), and Clare Madge (University of Leicester) added an important new addition to this extant debate. In ‘Unsettling Responsibility: Postcolonial Interventions’, the authors tackled the complex web of ethics, responsibility, agency, and strategy that haunt postcolonial relationships. Noxolo, Raghuram, and Madge highlighted responsibility’s limitations, particularly after so many years of independence. Most importantly, however, they sought a paradigm shift: to remove vertical, bilateral responsibility and postcolonial relationships in favour of complicated, group-by-group constructions and analyses. ‘In practice’, they noted, ‘responsibility is messy’ (p. 2). 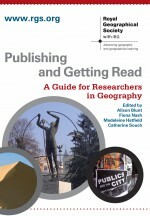 In seeking this paradigm shift, the authors ground their work in theoretical geography. Ascription-the quality that responsibility is put into practice, and agency-the ‘locomotion’ or motivation behind behaviour, action, and reaction. Traditionally, scholars used these functions to support their postcolonial perspectives (pp. 5-7). While acknowledging the benefits of analysing ascription and agency, Noxolo, Raghuram, and Madge stressed their limitations. Instead, they stressed the need to approach each analysis uniquely, to learn and apply narratives and practices from multiple colonial and postcolonial actors so as to avoid the all-too-easy victim/victimiser syndrome. “Giving an answer can lead to vulnerability, to violation or to political manipulation” of some subjects, whereas asking others (in differing situations) may be fine. Thus, postcolonial studies is inherently risky, tainted with emotional discourse and defensiveness on both sides, and should be approached with due caution and awareness for actors outside the traditional ‘top-down’ model. Colonialism and its effects were webs of collusion, power, need, victors and victims, not merely directives from the top. Pat Noxolo, Parvati Raghuram, and Clare Madge, ‘Unsettling Responsibility: Postcolonial Interventions‘, Transactions of the Institute of British Geographers New Series (October, 2011) [Early Online View]. This entry was posted in Early View, Transactions of the Institute of British Geographers and tagged Africa, agency, Ascription, Clare Madge, Commonwealth of Nations, Cultural Geography, decolonisation, Development, Empires, Global Issues, Intervention, Parvati Raghuram, Pat Noxolo, Political Geography, postcolonialism, Sierra Leone, Social Geography on November 23, 2011 by Benjamin Sacks.